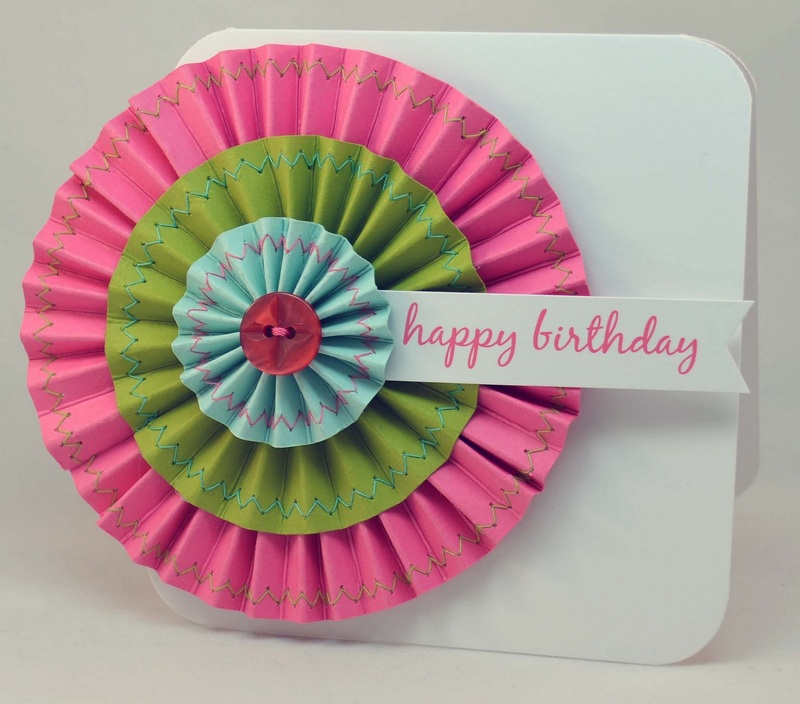 Stopping in again with another rosette card for the Moxie Fab's Championing Award Medallions Challenge! This card is pretty straight forward and what you see is what you get! The borders are stitched for a little bit of texture and color. And a colorful shiny button was added for the center. 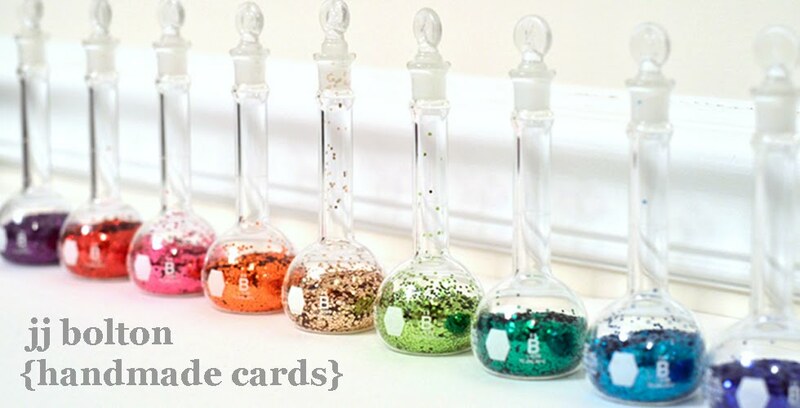 The only "trick" to this card is a little hard to see from the pictures. 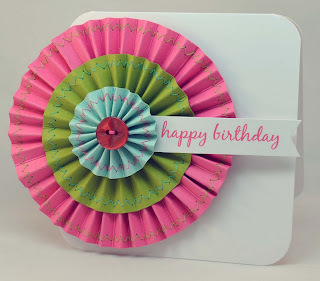 I wanted to do a rosette stack without it being too high. As you can see from the side view, the rosette itself does not stand too high off the base. To achieve this look, I only used a ring for the pink layer (no center). I also placed the folds of the pink layer within the folds of the green layer. 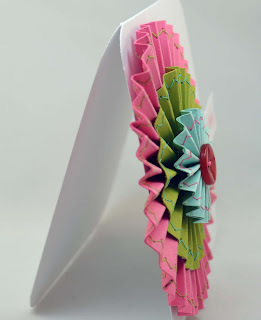 This gives a flatter rosette without flattening the actual folds. I didn't have quite the right sentiment, so this one is printed. 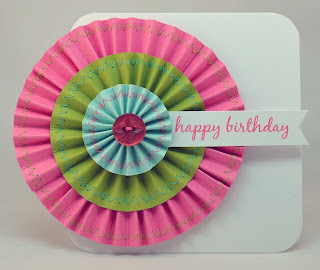 Aside from wrestling with the rosettes and the glue gun, this card was pretty easy to put together. And it was fun to work on something besides holiday cards:) Thanks for visiting! This is awesome, JJ! I was wondering how you made it seem so flat, so thanks for answering that ;) lol. The stitching is SUCH a great touch, and really unique. I love the super colours you chose too! Congrats on the WIN! Love the color combo, the stitching and how effortless (but sure it wasn't) look to it. Congrats on your win. It's a beautiful card. Love the colors.